Spring finally seemed to be here – March was colder than average, but the last few days, we finally got plus degrees during the day (and less than five minus degrees during the night, yay), and the patches where the snow has melted have been growing! But today I woke up to the sound of snow ploughs driving up and down our street and new what to expect when I looked out the window. More snow! Yesterday I learned a new phrase in Russian, which already proved to be useful: снег уже надоел – I’m already tired of the snow. In terms of language learning, March was a month of waking up again, and trying to figure out what I want to start working on now that I’m back on the game. I started with the bigger picture of my goals with Russian and Swedish, and now I feel ready to plan how I want to work towards them next month. This post is inspired by the Clear the list challenge hosted by Lindsay Williams from Lindsay does languages and Shannon of Eurolinguiste. I’m still a bit off course when it comes to habits and routines. One important way to try and fix that is to start tracking my study time again. I identified some themes I want to focus on in Russian this year, and the one I’ll start with is describing things I’ve done and experiences I had. Writing – I’ll try to write a bit every day. I’ll do diary entries of just a few sentences in my 5 year diary, and occasionally longer texts about things I’ve done/experiences I had. Listening – I’ll start listening to the “Пять минут” (5 minutes) podcast from Proper Russian (Thanks Katherine from Street Russian for sharing ideas for Russian learning resources) and make it deliberate practice e.g. by writing down what I hear or key words. Besides that, I will keep listening to Harry Potter and the Goblet of Fire in Russian. Speaking – I’ll try to find the time for a meeting with my tandem partner, we had a long break but we both agreed it would be great to meet up again. I’ll also finally check out HelloTalk and see what comes out of that, perhaps I’ll find someone to chat to. Reading – I don’t know!! I want to improve my reading but can’t think of where to start and haven’t had the energy to look up resources. Ideas are welcome! I determined my goal for this year to be finding a reason to need advanced level Swedish. A reason to need Swedish in April turned up sooner than I expected: at work, we have a new project starting soon, and related to that, I was asked to participate in a seminar in Stockholm the 12th of April. A seminar. In Swedish. About the environmental impacts of road pavements. I’ll mainly need to be listening and understanding, which wouldn’t be a problem, if it weren’t about a topic that I’m not an expert on in my own language. And then there’s going to be coffee breaks when I guess I should be able to at least exchange a few words with someone. I’m thrilled and terrified at the same time. Find some background reading about the topics of the seminar to help me familiarise with the special vocabulary, and the topic in itself. At some point this year I think I’ll make an effort to revise a bit again, but for now, I’m taking a break from French. I’m currently contemplating on the question, should I start learning a new language or not. A part of me is telling me I shouldn’t – I have my hands full with Russian and Swedish as it is – but another part of me has had this idea for such a long time, and so many little things have been telling me that now could be the right time (against all reasonable thinking). What about you? What are your April plans looking like? These are exciting plans, Tiia 🙂 I can’t wait to hear how your April goes! For reading in Russian, what about a 5-minute daily scan of a news website like https://www.bbc.com/russian? Or you could subscribe to one Russian blogger and read their newest posts. Neither of those things are quite the same as reading an actual book- book have lots of repeating vocabulary, a storyline that builds, etc- but at least they’re quick and easy solutions to getting reading more done. PS: Spasibo for the shout out! Also, about taking on a new language- ooooh, that’s always a tough decision. It sounds like you’ve made commitments to Swedish and Russian already…. but on the other hand, spring is the perfect time for taking on something new and exciting. What if you made it a “Tiny Challenge”? Something that you could track easily and wouldn’t get too overwhelming, like “I will learn 40 words in language X this spring” or “I will spend # hours studying language X this April”? Great to be an inspiration 😉 I previously had difficulties sticking to the habit of using new for language learning material – I guess I’m too happy in my own bubble and don’t want to know what is happening in the world, haha. I guess I could still give it a go, trying to replace the habit of going to Facebook or something! The idea of finding a blog might be even better. I actually noticed I often even skip reading any posts in Russian on my Instagram, because the reading still takes so much more focusing than reading Latin alphabe, that I just don’t do it automatically when I’m just passively skimming through. I mean, I know my Cyrillic alphabet alright, but instead of being able to sort of just look at the words and take them in, I have to decide to read the text, then at least in longer and unfamiliar words kind of separately look at the letters, and then try to figure out what the word means. Maybe I should just try to look at any Russian website or Instagram posts or whatever texts for five minutes daily. To make my brain realise that when it sees Russian, it’s supposed to read it. Learning languages is one of my favourite things. Besides that, I love adventures and new experiences, nature and the four seasons in Finland, and my two cats. 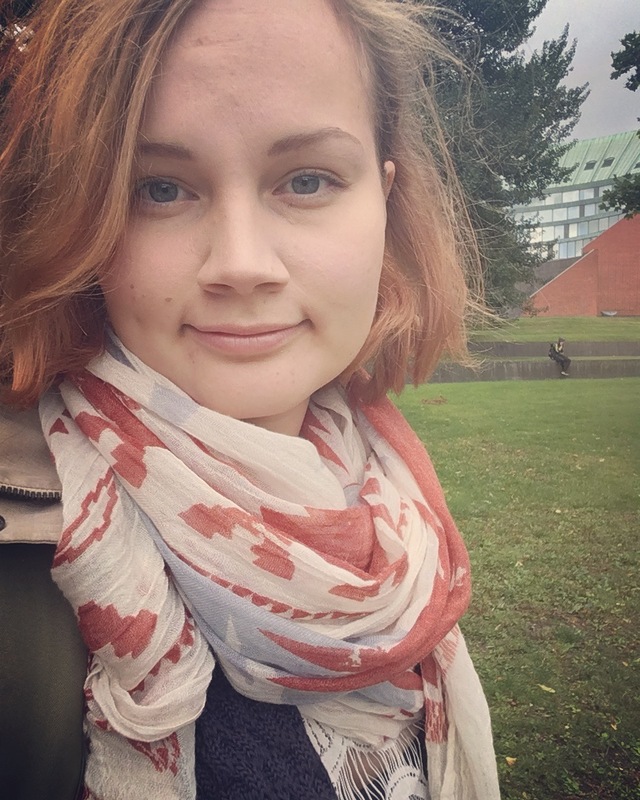 In this blog I write about my language learning project and share thoughts, ideas and even some tips (with occasional pictures of adventures and new experiences, nature and the four seasons in Finland, and my two cats).